We Are Putting Down New Roots! We are excited to announce that Ecosource has moved to a new location! Our office is now located at St. Hilary Elementary School, putting us right in the heart of Mississauga. With new on-site facilities, including a teaching kitchen and community garden, we are thrilled to be able to offer more hands-on programs than ever before! 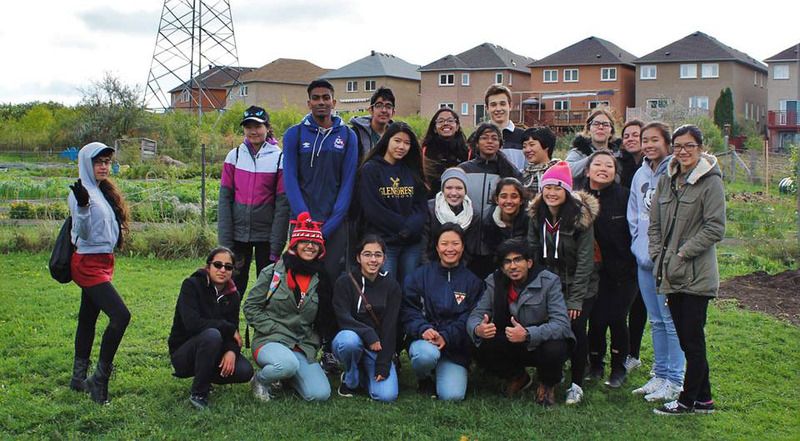 The Region of Peel’s Waste Reduction Workshops, delivered by Ecosource, engage Mississauga students in contemporary waste issues and foster thinking through hands-on learning. Get thinking critically about waste reduction and diversion! Our Community Gardens program is a runaway success, with over 100 active plots under cultivation at four city park sites, and a waiting list of people wanting more! Ecosource is an innovative environmental organization specializing in fun, hands-on programs that focus on how each of us can change our daily habits to become better environmental citizens. Read more about what we do, or contact us to find out how you can get involved in your school or community! Thanks for the experiments. The soil recipe we made is very good, and you know what? My plant is already growing!